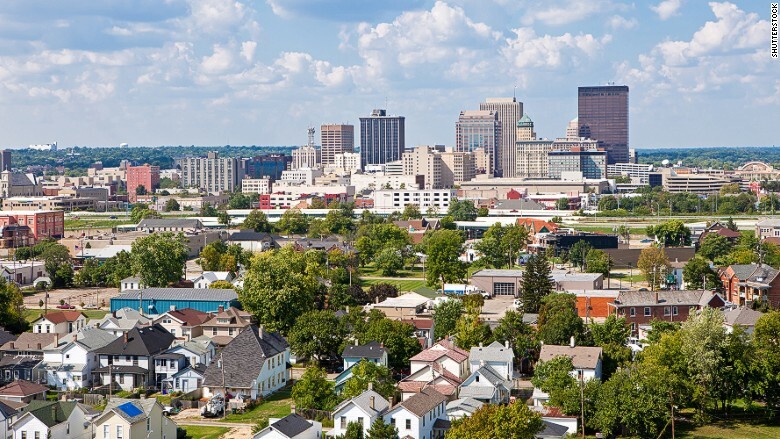 The median listing price in the Ohio city was $119,700 in August, but the percent of income homeowners spent on housing held steady year-over-year. To determine affordability, Trulia calculated how much a median income household would spend on housing, utilities and commuting in the 100 largest housing markets in the U.S. To determine housing affordability, Trulia assumed a 30-year fix rate mortgage with a 4% interest on each metro's median home price based on Trulia's August listings. Property taxes and insurance were also included in the calculations. Trulia used data from the 2013 American Community Survey to determine the median monthly household expenditure on utilities (water, electricity and gas) and commute time to work in each metro.